It’s a very busy week, so we’re releasing two podcasts this time around – one today, and an extra one on Wednesday, in which we will be reviewing James Mangold’s outstanding superhero drama Logan in depth. 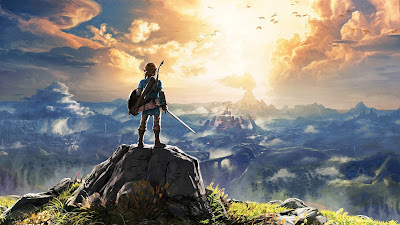 Today’s episode, though, is all about video games – as in the span of one week we got the latest major PS4 exclusive, Horizon Zero Dawn, a brand new console in the Nintendo Switch, and the long-awaited The Legend of Zelda: Breath of the Wild. That’s a lot of cool stuff to sift through for one week, and we offer impressions on all of it – spoiler-free, of course! – with Sean’s thoughts on Horizon and Jonathan’s take on the Switch and Zelda. Enjoy, and come back Wednesday for our episode with spoiler-filled thoughts on Logan!